Study, train, and discover at the world's leading biomedical research university. 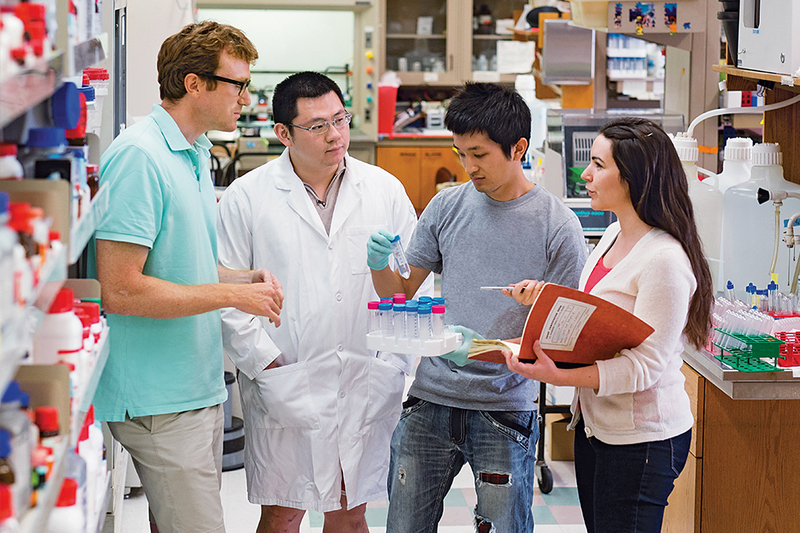 Our world-renowned graduate program provides a select group of highly motivated students the opportunity for research and graduate education in the biomedical sciences, chemistry, and biophysics. The graduate program is flexible and individualized according to each student’s particular needs and academic interests, offering rigorous training and close mentoring by faculty. Rockefeller also offers one of the nation’s top M.D./Ph.D. programs and a leading chemical biology Ph.D. program in partnership with neighboring Memorial Sloan Kettering Cancer Center and Weill Cornell Medicine. Rockefeller students enjoy full financial support, live in highly subsidized housing on Manhattan’s Upper East Side, and pay $0 in tuition. The David Rockefeller Graduate Program at The Rockefeller University is accredited by the New York State Board of Regents and the Commissioner of Education, 89 Washington Avenue, Albany, NY 12234; Telephone: (518) 474-1551. Please come and speak with representatives of our Graduate Program.